Welcome to the sixth of 12 articles revealing — for the first time ever — material cut from The Essential Guide to Warfare before its April 2012 publication. Each section will be preceded by brief comments discussing why the material wound up on the cutting-room floor. My great-great-great-grandfather Findal was the one who turned Kett Shipping into a Trade Federation subsidiary. He was glad to do it. And despite all that’s happened recently, I’m glad he did too. My family has been running ore and nova crystals out of Cotellier for centuries — there isn’t much out our way in Rseik Sector, but there are credits to be made, if you work hard enough and learn from your mistakes. We run transports up the Sanrafsix Corridor to Kabal, where the ore and crystals get offloaded and sent to factories in the Inner Rim or the Expansion Region. Then back to Cotellier with grain, ag supplies, whatever we can turn around for a few credits more. We aren’t barons or anything, but we have our family holdings, investments on Ma’ar Shaddam and Rseik proper, and a retreat on Z’trop we always swear we’ll get to more often than we do. Why do we have all that? Because of the Trade Federation. By Findal’s time the Republic had basically ceased to exist beyond Kabal. Tamarin Sector was a joke — its Senator was a spice lord from Sevarcos who only traveled to Coruscant when his latest wife wanted to see the opera. Its sector fleet’s only concern was making sure the spice haulers delivered andris and carsunum to Kabal or Svivren. As long as that happened, they didn’t care what happened elsewhere in the sector. 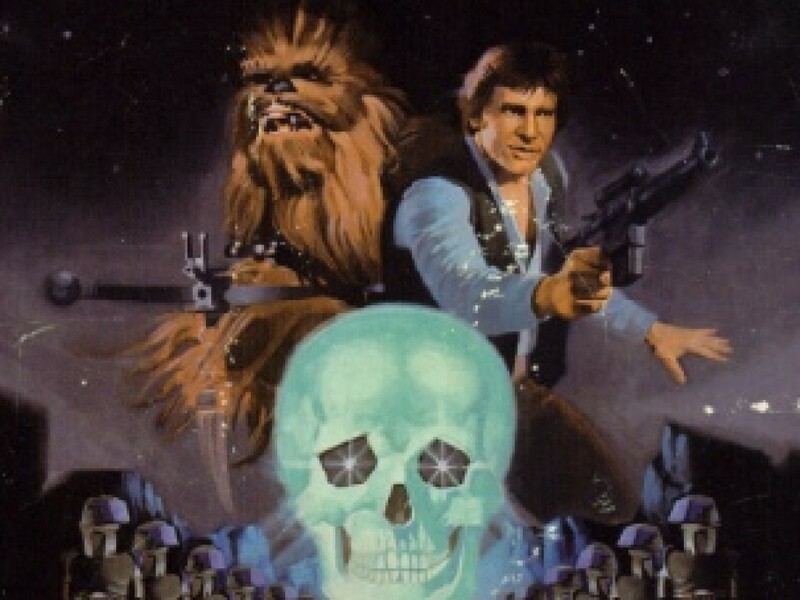 There were pirates everywhere — the Sanrafsix was a no-go zone beyond Dravian Station, and even there you went armed and kept your blaster loose in its holster. Our Planetary Security Forces weren’t much better; they weren’t pirates, but they were outgunned by them. They stuck close to port and hoped nothing would happen. One year we ran six convoys to Kabal and had four of them taken by the pirates of Tertiary Fujar. We ransomed three of them; the Fujari took the fourth and sold the crew to Karazak slavers. The next year we ran five convoys and only one made it back. For a couple of years Findal ran convoys across the Little Minos Run instead, but then the Hajara gang showed up on Corva Yag and started taking transports there. What could Findal do? You never saw a Judicial hull past Kabal. Out here we had a government that couldn’t fight pirates; in Tamarin the government and the pirates were one and the same. Then came the Bordal Contagion of 214 BBY. I don’t know what it was — some kind of plague that left people strangling on fluid in their lungs, awful stuff. I think it was the first time the Republic had thought about Rseik sector in a century or so. They figured out an antidote on Tauber and started sending holds full of it to Kabal. We sent transports to fetch it — everybody did. The Fujari raided the first convoy, stripped the engines and the hyperdrives and set the transports adrift without power – six million doses ruined. The Republic did nothing. 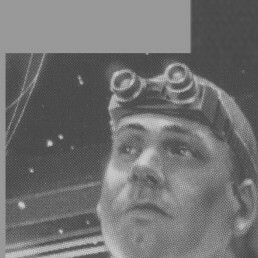 Eventually the Rseikharhl set up their own labs to manufacture the stuff themselves, but the delay cost millions of Bordali lives. That was when Findal, the Rseikharhl, the Ma’ar Shaddam Weaponsmiths Guild and a bunch of other interests got together and decided to approach the Trade Federation. They arranged a secret meeting with a Federation agent on Syned — Findal’s diary says he was a Balmorran half the size of a shipping container. The Balmorran pored over all the datacards they’d brought him — intel on pirate bands and craft, financial records, planetary profiles, the works. Took it all in fast as an accounting droid. He said yes the next day — Kett Shipping, Rseikharhl Hullspace, Cotellieri Transports Limited, we all became Trade Federation members. The first thing the Federation did was bring in a flotilla of gunboats and system patrol craft via Svivren, backed up with a pair of Munifexes and a Captor. First trip to Kabal, the convoy hit an ice-asteroid screen and reverted to realspace at Tertiary Fujar. Here came the pirates, only this time they were looking down the barrels of a couple of dozen TDF guns. An hour later the Fujari ships were space junk and their main asteroid base was a crater. Findal said it was the happiest day of his life. A week later the Hajaras got theirs, too. 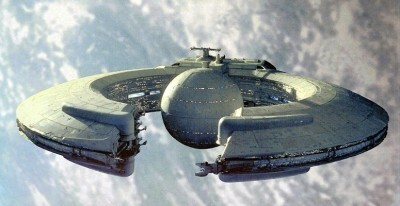 Within a decade the Trade Federation had upgraded spaceport facilities at Kirdo and Laria, established a depot for goods at Tyne Albamon, blazed a faster route to Svivren, and installed a TDF marine post at Dravian Station. By then we were running more than 20 convoys a year, and not losing a single one. I know things are different now. The Trade Federation runs Tamarin and Rseik sectors, and there are Neimoidian fingers in the ore trade and the crystals business. And spice, of course. Serving in the TDF, I’ve been ordered to do things that I wonder if I could explain while looking old Findal in the eye. But you have to understand what these sectors were like before the Trade Federation arrived. And if it were made to leave? Then there’d be no law at all. Jason Fry: Two reasons this piece works so much better than the Trade Federation one: 1) The speaker’s a lot more interesting than Firmus Kett. 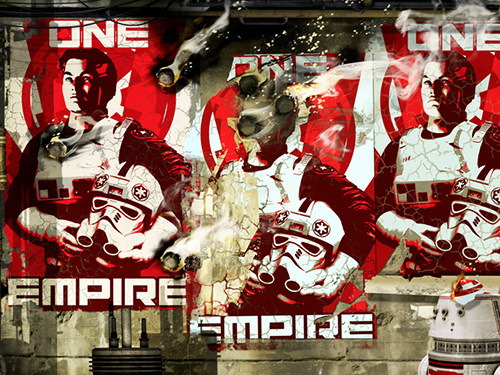 2) Though there’s plenty of Star Wars lore, you can follow what’s going on even if you’re not an expert. I also liked the idea of a Naboo veteran who still disliked droids – I borrowed that from relatives of mine who were World War II vets and had vowed never to buy a Japanese car. This piece would have worked well in Warfare, but we already had plenty of material about Episode I, and something had to give. Erich Schoeneweiss: As with many previous pieces we’ve shared in this series, this is one I’m now reading for the first time. Knowing that he was running long, Jason cut a good amount of material before sending Warfare to me. This piece I like a lot and it would have been a very tough choice whether to keep it or not. I would have trimmed the last two paragraphs, though — I think less is more in this case. Jason makes the character’s point about his lack of trust in droids and those he fought against early and it’s believable. I don’t think he needs to push it further. And in a manuscript that’s already long, trimming a little here and there will usually add up to enough to allow a piece that might have been cut to remain. 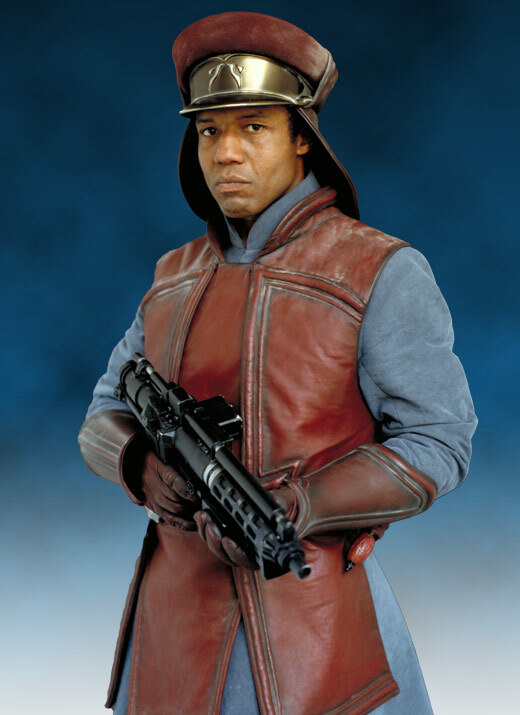 Pars Varqom, Royal Naboo Security Forces, retired. And happy to be so. I was Palace Guard for 18 years – a Pearl Hat during the reigns of seven monarchs, from King Veruna through Queen Mairayni. The droid invasion? Remember it like it was yesterday. First the comms went out, then we heard the sound over Theed. A huge thrum, the kind of thing you felt as much as you heard. And then sonic booms everywhere. That thrum was the landing craft coming in. The sonic booms were the droid starfighters protecting them. 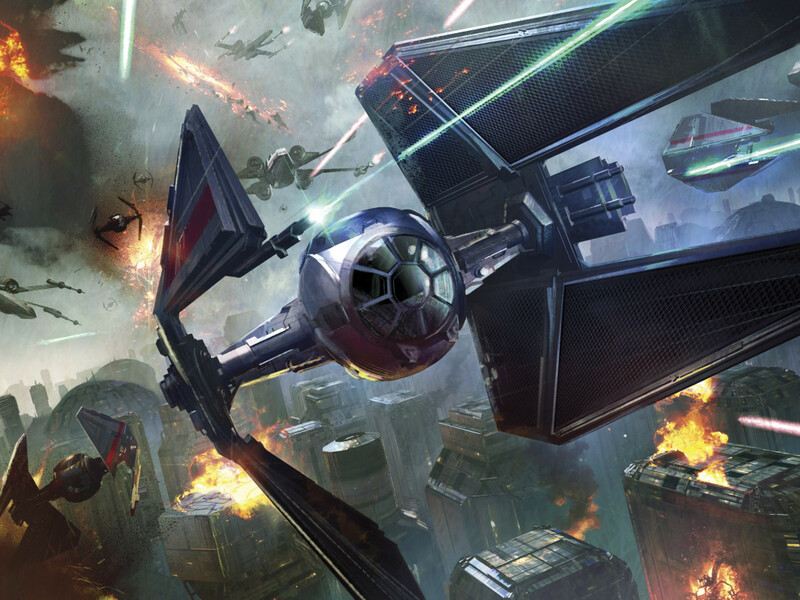 We had a few fighters in the air and speeders patrolling the likely landing sites, but it wasn’t nearly enough – we were just trying to slow them down and give Amidala and the brass time to get away. Panaka was head of security then – a tough guy and a born pessimist, the kind who’d frown that the glass was one-eighth empty. But he was right that time. He’d warned us this might happen and had told us to think about where we’d go and what we’d do to keep up the fight. Plus he gave us a crash course in insurgent tactics, in forming separate cells and keeping our operations small-scale. That way the droids couldn’t roll up the whole network once they caught a few of us. 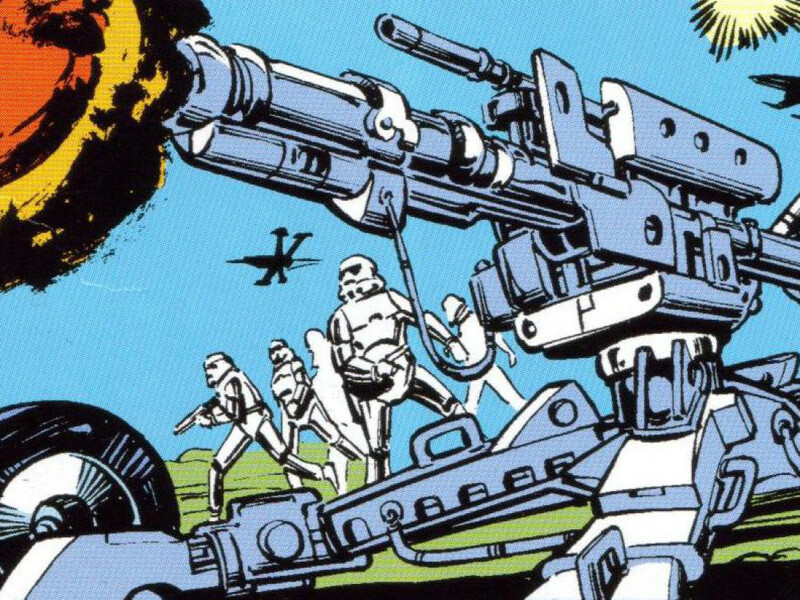 They drove tanks in ahead of the droids, big ugly things that smashed through the fountains and the arbors and anything else in their way. I remember in Theed the piazzas were full of water and purple musk-rose petals from everything they’d broken. 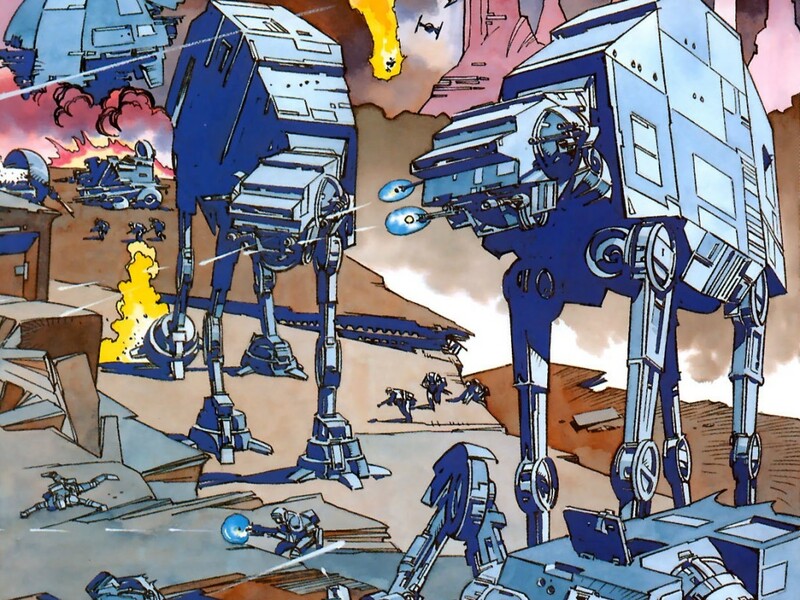 And then came the clankers, the B1 battle droids. They looked weak, with their limbs like saplings, and they were slow and dumb. But that wasn’t the point. There were so many of them, and the Trade Federation had eyes in the sky. We were blind, outgunned, outnumbered. If you fought, you died. Six of us headed to the Penladen Hills, up the Solleu River, and set up a resistance cell there. Meanwhile, the clankers were putting everybody who could fight in detention camps. That was a terrible thing to see. 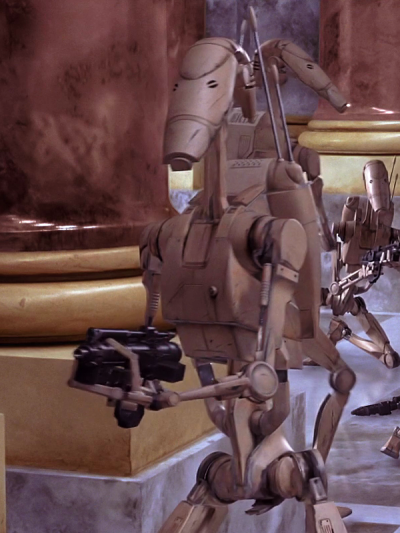 These were battle droids – they were programmed to kill people, not take care of them. They weren’t any good at supplying food or water or shelter, and the Nemos’ goal was to force a surrender, so they didn’t care if people got sick or starved. To live in the camps was to be penned up like a bunch of shaaks, except shaaks get food and water. Our people were left to die. Panaka contacted us to tell us about Amidala’s raid on Theed, but we were too far from the city to help out, and Panaka worried too big a mobilization would give the plan away. So he ordered us to raid the Penladen detention camp, which we were only too happy to do. We hit those droids hard and took down the fence generator, and when it went down the Naboo did the rest. Never thought I’d see Theed gentry tearing the arms off clankers in a rage, but that’s what happened. That was a long time ago, but I still don’t want to see a droid. I won’t have them in my house — I don’t even let my granddaughter bring the nanny droid when her family visits. A droid doesn’t have any morality; it just does what it’s been told, and you never know who might have programmed them. I’ve got a degenerative eye condition and the doc down at Kulma Narrows suggested I get an ocular implant, but I won’t do it. 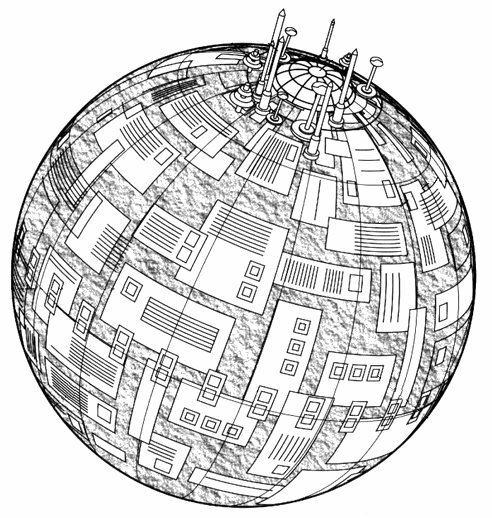 That implant’s got a chip in it, and a chip is a little droid brain. You’re not putting that in my head. It’s not just droids — anytime Lesia wants to buy something, I want to know who made it and where it comes from. I won’t buy from the Nemos, or the Duros either. Nor from any of the megacorps that were on both sides during the war. Nothing from TaggeCo., nothing made on Balmorra or Kuat. I like things that were made here, in Chommell Sector, because then I know where those people were and what they were doing when the droids came. My granddaughter says I’m old-fashioned, that it was a long time ago. And she’s right. It’s what I believe, and I’m not going to change my mind. Jason Fry: This was one of my favorite things written for Warfare, and I’ve been asked about it more than any of the other known pieces of cut content. I’m really happy to finally get to share it. I like the portrayal of Panaka as a loyal Imperial: His criticisms of Padmé are highly selective and deeply biased, of course, but they aren’t cheap shots — they feel like things Moff Panaka would have honestly come to believe. But the real fun is that the reader knows more than the characters, and understands that their conversation is a missed connection. Think of the personal earthquake for both of them if Panaka had revealed a bit more than he did. Erich Schoeneweiss: I’m responsible for cutting this from the manuscript and after reading it a second time I don’t second-guess my decision. Jason said above, “But the real fun is that the reader knows more than the characters…” and that’s precisely why I felt comfortable in cutting this. The piece isn’t a portrait of Captain Panaka, but rather his point of view on the actions of Padmé Amidala. More importantly to me, when faced with the task of trimming the manuscript to a publishable length, I felt that this was information we already knew. Had this truly been a look at Captain Panaka and his place in galactic military history, it might have stayed in the book. 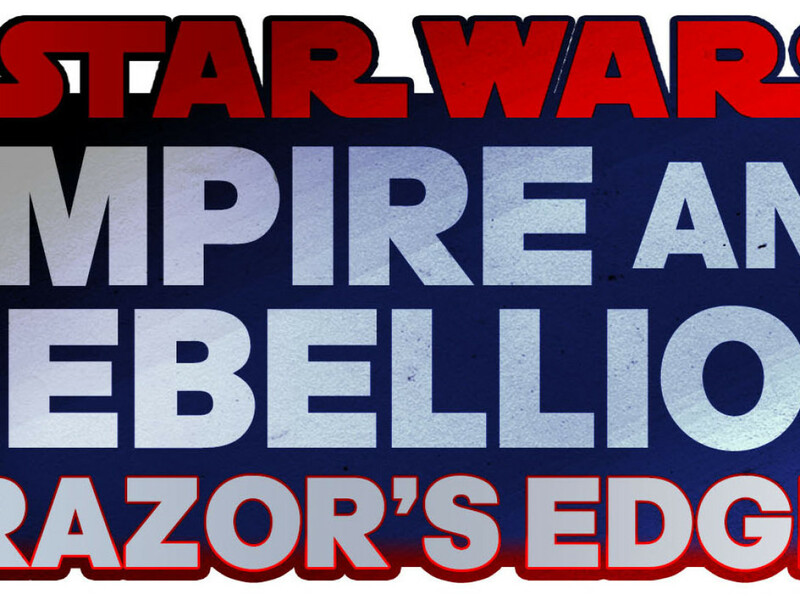 That said, it’s a fun piece for Star Wars fans and I’m happy we get to bring it to you now. Enjoy. Jason Fry: Huh. You know what? He’s right. Princess Leia Organa had been expecting him — and judging by her expression, she’d also been expecting the Stormtroopers who’d accompanied him to the conference room set within the graceful curve of Hosk Station. Her two guards, however, had not – the sight of that familiar white armor sent their hands dipping toward their blasters, the movement checked by a quick gesture from Organa. His own troopers hadn’t flinched, Quarsh Panaka noted approvingly. He’d told them Organa wouldn’t allow a firefight at a neutral site, and they’d trusted him to be right. Panaka minutely straightened the wrist cuffs of his olive-green Imperial uniform. “Have you come to tell me that Moff Lankin has surrendered or joined your cause, then?” he asked. Panaka waited. The Rebel leader started to speak, then cocked her head minutely at the guards. Her eyes met his in a diplomat’s tacit request. She turned her gaze back to Panaka as the guards departed. Organa was looking out the transparisteel window now, at the bright blue-green curve of Kalarba. 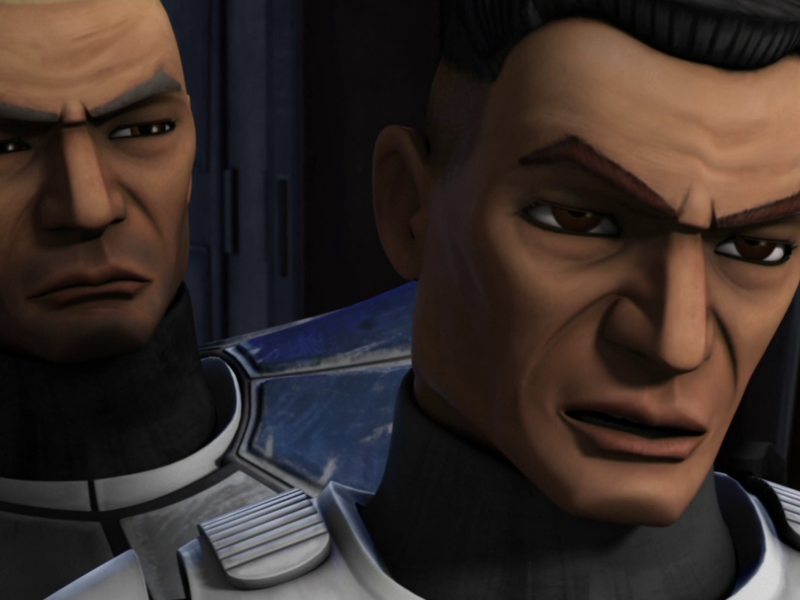 Panaka steepled his fingers and gazed at the Rebel leader. He allowed himself the slightest of smiles as Organa’s expression darkened. This wasn’t going the way she’d planned. “Her first move was to dismantle a program established by her predecessor for rebuilding our military forces,” Panaka said. 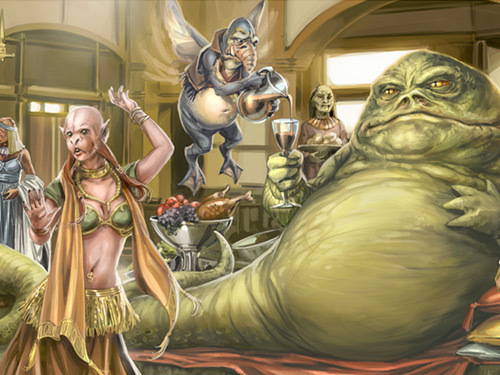 “Having done that, she scrapped the contract he’d signed with the Trade Federation. At the time the Neimoidians were building an enormous droid army, openly threatening worlds that opposed them, and Senator Palpatine had emerged as a leader of the movement to bring them to heel. “As head of her Royal Security Forces, I warned her that she was provoking a harsh Trade Federation response, but she did not listen. She was convinced that the politicians she admired in the Core would help us, and that the Trade Federation could be reasoned with. She was wrong on both counts. Organa opened her mouth to say something, but Panaka wasn’t finished. “Despite having made both herself and our world a target of the Federation and its allies, she did little to restore our defensive capabilities, forcing the recall of Senator Greejatus when he sought to do so. And so when she herself became Naboo’s Senator, I chose not to accompany her to Coruscant. I knew I could best serve my world by staying home and trying to see it safely through the dark times that were coming. Panaka nodded, wondering how much more to reveal about the woman Organa had assumed he’d admired. Should he tell her of the secret marriage to the boy they’d plucked from slavery on Tatooine, the one who’d grown up to become the Republic’s greatest hero? Should he explain how that had endangered Naboo’s standing in the Senate, and Anakin Skywalker’s membership in the Jedi Order? He decided against it — a wise man revealed only what he needed to. “The Empire has not always lived up to its ideals, Senator Organa – I know that. But it restored order to the galaxy. It snuffed out the fires of Separatism and factionalism. I am proud to have kept Chommell sector safe and secure as part of that effort. Emperor Palpatine saved the galaxy, despite resistance by those you hold dear. Organa stiffened slightly, then nodded, and Panaka knew the meeting was over. Panaka pushed back his chair. He smoothed his uniform and minutely straightened his rank badge.